LANCASTER – The Lancaster Sheriff’s Station is seeking your help in identifying and locating the following suspects. If you recognize them and know where they might be located, contact detectives using the information beneath the suspects’ photo or by calling 1-800-222-TIPS. 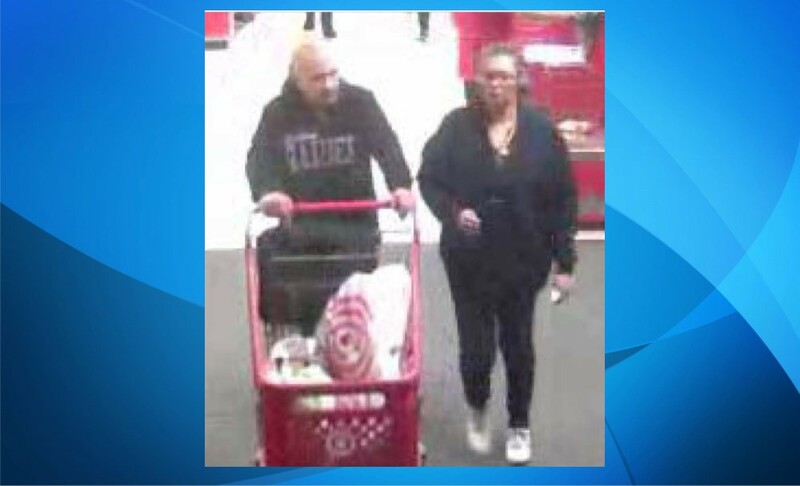 If you recognize this couple, then detectives from Lancaster Sheriff’s Station would like to hear from you. The suspects are wanted for theft. They are accused of stealing credit cards and using them at numerous local businesses. 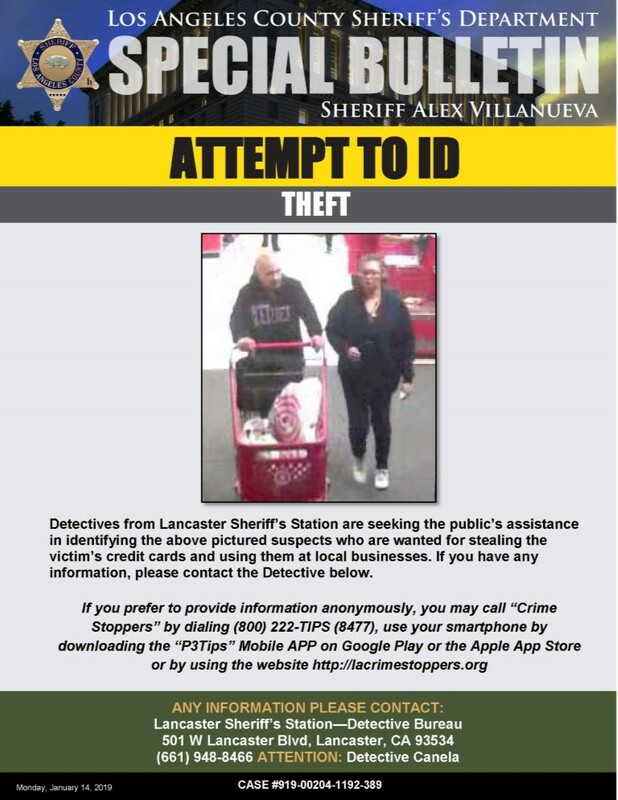 Anyone with information regarding the identity or location of these two suspects is encouraged to contact Detective Canela at Lancaster Sheriff’s Station at 661-948-8466. 10 comments for "Lancaster Station’s Most Wanted"
Just your regular teeth missing fat slob trump supporters ! Then move to the great country of Mexico…. I believe I got so annoyed you made me illiterate for a moment. Salty does steal one thing and that would be proper grammar and punctuation. Nah, baldie is a republican all day. Everybody knows Democrats have hair.